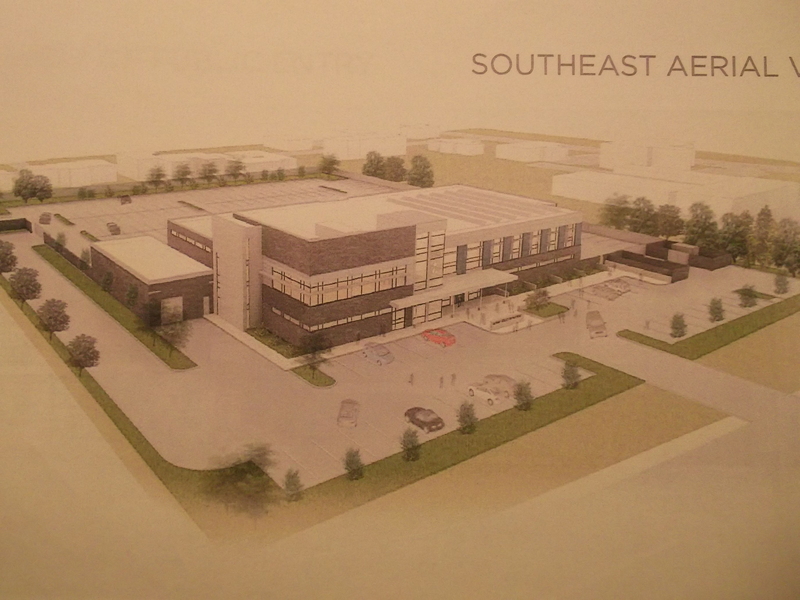 What the station would look like if you saw it from the southeastern sky. Will more voters be inclined to support a bond issue for Albany’s planned new police and fire stations once they’ll know exactly what they’re getting? The city council seems to think so, but whether detailed plans will help or hurt we’ll have to wait and see. Meanwhile, there are likely to be questions about at least a few of the details. The city council on Monday had before it several pages of floor plans proposed for both buildings by Mackenzie, the Portland firm with which the city is negotiating a design contract for the overall project. The plans show attractive and — to the layman — extremely functional buildings in which it would be a pleasure to work. On the plans all the rooms are labeled, which is helpful. But some labels will need an explanation. For instance, on the ground floor of the police building, the booking area is flanked by three “hard” holding cells on one side and two “soft” cells on the other. What’s a soft cell and what is it for? On the second floor, the detectives’ section has a “war room.” I assume that’s cop talk for a conference room where investigators can assemble on big cases. In the interest of community relations, a less martial term might be applied to this space. Separate from the war room there’s a detectives’ bullpen, presumably for more informal kinds of back and forth. 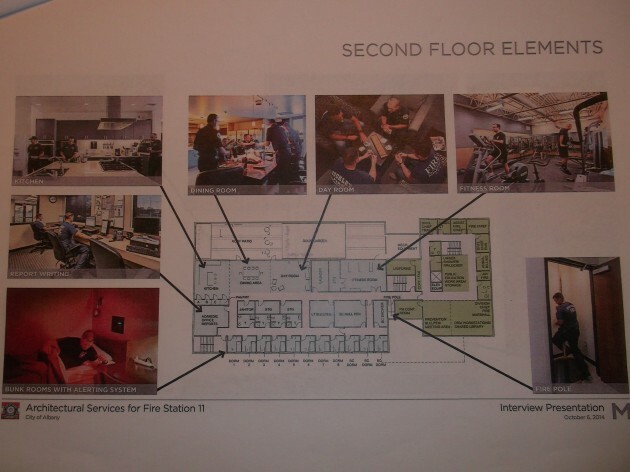 As part of the administration section on the fire hall’s second floor, the plan shows a “unisex shower,” and voters may want to know what that’s about. 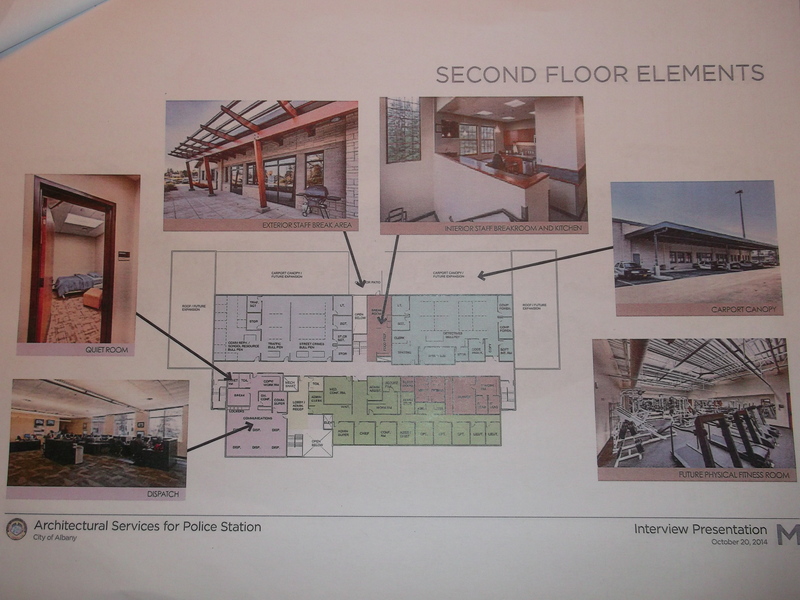 Interior details of the police station proposal. The fitness room could be added later. One of the pages from the fire station floor plan. Recent story about city mangers new compensation package might not help the cause here.